Except for a few brave souls, the atmosphere amongst the faithful has been funereal this week as the implications of Villa’s play-off final defeat began to sink in. The prospect of surviving the Premier League’s plutocracy was never an altogether unambiguously pleasant prospect but the importance of the cash was never in doubt as the parachute-payments run out and the club now faces the prospect of financial equality with the long-term denizens of the Championship’s eco-system. Anyone who needed a reminder of Villa’s predicament only had to take a look at the squad with the loanees stripped out, to conclude that the club has a massive job to get done over a summer when the World Cup will no doubt be its usual drag on domestic football business. It has to be said that without the loanees Villa wouldn’t have got anywhere near the play-offs and it is only when you start listing the names that you realise the scale of their huge contribution. Super Sam Johnstone was absolutely immense in the Villa goal, Robert Snodgrass’s seven goals and fourteen assists were crucial, and Lewis Grabban’s eight goals were absolutely key in getting Villa over the line. And, the very much under-appreciated Josh Onomah made a very valuable contribution to Villa’s memorable season, too. Finding replacements for these players is going to be difficult and expensive. Having the contacts in Premier League clubs to negotiate such loans should be paramount in Doctor Xia’s mind when he makes his decision about the manager. If Villa are to be in any kind of shape to start next season’s campaign they need to have a very busy summer. The disappointment is going to take a long time to get over but it is impossible to make the case that Villa deserved it more than Fulham. No club which finishes five points better off than a team below them should face the lottery of the play-offs. In fact, it probably would have been an eight point gap, had Fulham not been required to roll over against SHA to keep their team intact. I think every Villa fan knew that it would take one of Villa’s shock and awe performances to win the final but they never looked like it was in them. Once Villa had ensured their play-off place they seemed to go off the boil and even though they defended like heroes against Middlesbrough they looked like they had forgotten how to score. They continued that trend in the final and the experience and leadership which was supposed to come to the fore never quite materialised. Our jack tried to play Fulham on his own but never got the rub of the green. Sessegnon did hardly anything but what he did proved crucial. Just like the league game at Villa Park Fulham proved they were good technicians who could be cynical, which too often crossed the line. Referee Taylor had once been criticised by Wenger when Villa won at Arsenal. So maybe that affected his judgement. The whole world saw Ryan Fredericks stamp on Jack Grealish but not the referee or the fourth official, apparently. The referee seemed to declare open season on Jack Grealish, and his licence eventually led to a player being sent-off but it was too late by then. Early doors the game was as tight as a duck’s bum hole. Villa held their shape and Fulham played their passing-game in what looked like non-threatening areas. Things were going to plan up until the 23rd minute when Fulham were playing it across their midfield. Jedinak was pressing the ball and Hourihane wandered upfield leaving a big hole behind him, where Glen Whelan would usually be found, in front of Villa’s back-five. Fulham’s Stefan Johansen spotted the gap and over-hit a pass which bounced off Sessegnon but with no one near him he had time to recover. Hourihane arrived but went to ground and Fulham’s prodigy slipped a perfectly weighted ball through the gap between John Terry and Alan Hutton. Cairney side-footed home. FFC were ahead. FFS was the reaction. Villa looked shook up after the restart and quickly lost the ball and couldn’t get it back. It was with much relief that Kamara skied an ambitious shot before Villa could steady themselves. Villa were all over the place, with every clearance either going straight to a Fulham man or was scuffed. Fulham endangered the birdlife again, with another skyward effort as they looked for a quick coup de gras. When Villa finally got it together and penetrated Fulham territory they were usually halted by a foul and finally Odoi earned himself a long overdue yellow card with another violent tackle on Jack Grealish. The Snodmeister took the free-kick and chipped a delicate little ball over the Fulham wall for Grealish to run onto but our Jack didn’t quite get the right contact on his volley from a narrow angle and it looped into the stand. It was an audacious attempt but it was not much of a chance. Villa looked livelier as the second-half started and were quicker to the ball. Villa broke in numbers from midfield but Grealish added to his frustration by losing his footing and it broke down. Fulham produced an incisive passing move through midfield and some neat movement by Mitrovic created a crossing opportunity for himself, which James Chester dispatched over the Villa bar. Villa responded with an equally good move started by a Snodgrass interception and Villa took up a familiar shape with Adomah on the left. Albert put in a perfect cross which Jack met with his head, goalkeeper Bettinelli deflected it over the bar. It was yet another decision which didn’t go Villa’s way. Villa came again, down the left, and Hourihane sent in a cross which was too hard, beat Grabban, and went for a throw by the corner-flag. Villa had a great moment when Hutton, Hourihane and then via Grabban sent the ball inside to a charging Grealish who beat four Fulham men but his goal-bound shot was deflected against Bettinelli’s body and was scrambled away. It looked unlucky but it was good defending by Fulham. Having more than demonstrated why he was the most fouled player in the Championship, Grealish got himself booked for a late tackle on Johansen after he’d taken another battering from Kamara. Fulham should have made it two-nil when Chester gave the ball away on his right flank. Sessegnon slid in the pass and Johansen, who had miraculously recovered from his near-death experience, blasted over. Villa broke when Jedinak sent Grealish away, who was halted with a rib-high challenge by Odoi and the referee brandished the red card. Villa had twenty minutes to try and take advantage of their extra man. Fulham held their line and saw Villa’s main danger as Grealish, so every time he got the ball he was pushed and body-checked. The referee demonstrated that pulling an opponent’s shirt is no longer an offence. Villa finally got a free-kick when Grealish was hacked down yet again. From thirty yards Snodgrass bent the free-kick past the post. It was Villa’s last chance and the £200m prize went to the Cottagers. Money for the winners, misery for the losers. With a little more leadership on the pitch and a little more protection for Grealish and it could have been Villa’s day. But sadly it wasn’t. So where do Villa go from here? Last season was the most enjoyable season since the O’Neill years and it is a pity it had to end on such a disappointing note. It seems unlikely, taking into consideration the necessity to make cuts, that next season can possibly reach the same heights as the one just gone. The huge contribution made by last season’s loanees is going to be difficult to replace. Finding a centre-half of the quality and positive influence of John Terry looks impossible. Sam Johnstone should be a transfer target. Snodgrass will be a huge miss. 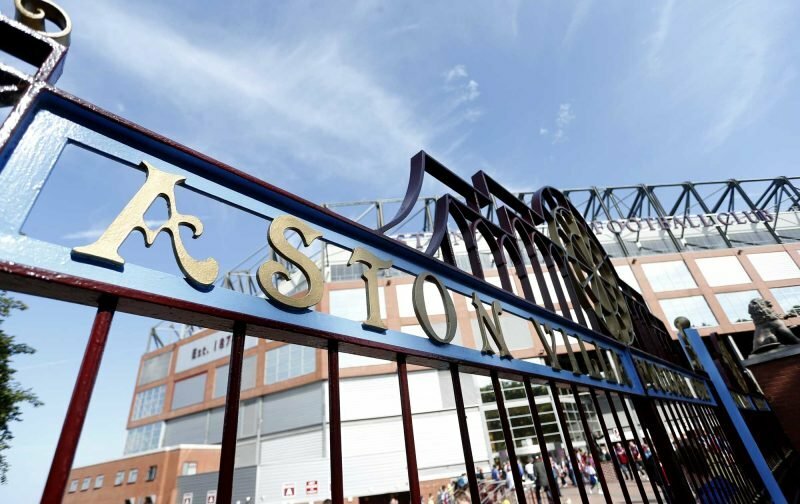 Villa will continue to be subjected to the parasitic drain of several non-playing higher-earners and so will continue to struggle to get the full value out of whatever income they can generate. The fans can only hope that Villa will avoid the knee-jerk responses and waste which characterised the previous regime’s later years. I am sure Xia will keep us informed and we will all be intently watching every move. Where do we go from here? Well, I’ve got my season ticket, so I’ll be there to find out! 1. Has Bruce made good permanent signings (across the full span of his tenure)? 2. Despite having limited funds to buy last season, a significant outlay was spent on wages to support loans and free transfers. How will this be replicated in 2018/19 season? 3. Bruce places an awful lot of his faith in experience, arguably to the detriment of the best of the younger brigade. Can he really change hat philosophy, now the purse strings have been pulled tightly shut? 4. Last season’s game plan was focused on a tight defence, physical strength and attacking forays utilising wingers coming in off their ‘wrong’ flanks. Grealish aside, the midfield sat sell back from the attack. Will Bruce try replicate this aaproach again with the playing resources he will have left at his disposal? 5. Will more of the same produce a different outcome? The more I weigh up the needs for next season and beyond, the more I think Bruce is the wrong fit. For all his admirable traits, I can’t but help concluding he lacks flexibility and tactically nous to make the difference. Whether Dean Smith, Olof Mellberg or another could do better though remains an unknown. With Dr T take the gamble?